Chris Taylor, the son of the law firm's founder, graduated from Santa Clara University in 2001 with honors in Political Science. Foreseeing his future career, his honors thesis was submitted on the topic of “Judicial Interpretation”. He was then accepted into the	University of San Diego's School of Law, where he received the American Jurisprudence Award for his performance at the top of his class	in Criminal Procedure. Chris Taylor eventually had the distinction of representing his law school at the National Mock Trial Competition --	where he placed 2nd among students from law schools nationwide. He graduated in 2004 -- in the top 30% of his class. During his first year at law school, Mr. Taylor was awarded an internship with the Office of the	San Diego City Attorney and, in the following two years, with the San Diego Public Defender's Office. In that capacity, he worked with experienced criminal attorneys on felony trials. In his senior year, Chris Taylor was given the honor of serving as legal extern to an Associate Justice of the California Court of Appeals. Upon graduation and passing the Bar exam on his first attempt, Mr. Taylor accepted a position with the Orange County Public Defender. He served as a Deputy Public Defender for the next 9 years, during which he represented thousands of clients charged with various criminal offenses ranging from misdemeanors to murder. In his final two years at the office, he was appointed Supervising Misdemeanor Attorney, in charge of training and managing deputy public defenders handling misdemeanor criminal cases -- including DUI and DUI-related vehicular homicides. Mr. Taylor joined his father's firm in early 2013, and is now a partner and serves as the Managing Attorney. He also represents a limited number of clients facing DUI charges in Orange County, where he continues to be held in high regard by that county's judges and prosecutors. In October of 2015, Mr. Taylor was named by Coast magazine to its annual "Orange County Top Attorneys" list. 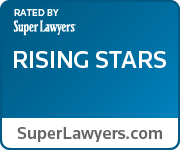 Following this honor, in 2016 the firm's managing partner was named through peer selection as a "Rising Star" among Southern California attorneys for "attaining a high degree of peer recognition and professional achievement" in the DUI defense field. He has attended numerous seminars, including those presented by the National College for DUI Defense, National Association of Criminal Defense Lawyers, California Public Defenders Association and California Attorneys for Criminal Justice. He has also lectured on jury trial tactics and pre-trial motions to suppress evidence. Chris was extremely helpful at a time when it felt like all the walls were closing in. He guided me through the entire process which can sometimes be very confusing. however Chris and his team got me a favorable result and kept me informed throughout the entire process. I strongly recommend Chris Taylor. In a word...OUTSTANDING. I must first begin with expressing my sincere gratitude to Attorney Christopher Taylor and his staff at The Law Offices of Lawrence Taylor, Inc. Your diligence, guidance and attention to detail gave me great piece of mind. You educated me with what to anticipate through each step in the DUI process. You and your staff consistently provided excellent communication, timely responses and commitment to me, the client. Mr. Taylor is an excellent lawyer who is professional and gives careful attention to the smallest detail. I know him to be knowledgeable of the law and very persuasive in the courtroom. I recommend Mr. Taylor without hesitation to anyone finding themselves with a DUI and unsure of where to turn.